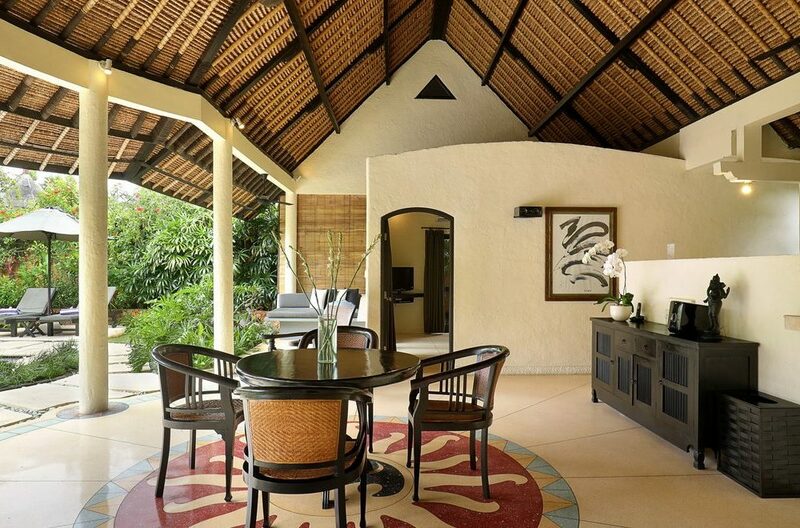 Villa Impiana 2 has a stunning, spacious and inviting exterior. 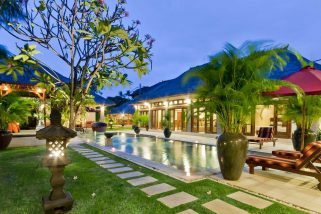 Right in the center of the compound is a gorgeous T shaped pool which is surrounded by lush lawns, exotic flowers and a beautiful stone path that winds all around it. On one end of the pool is the sundeck where there are lounge chairs for guests to relax on after enjoying a refreshing swim in the pool. For guests with kids, the grounds of the villa provides ample space for the children to run around and have some fun. 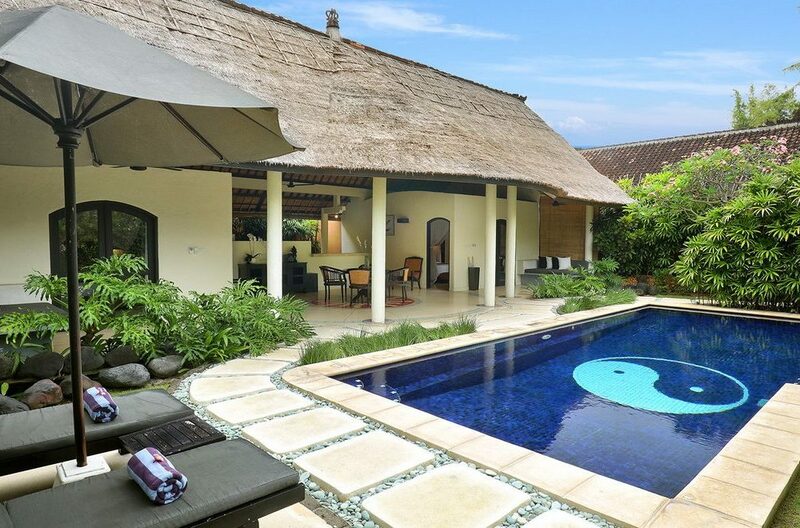 Just beside the pool is an open air building which houses the unique and beautiful living areas of Villa Impiana 2. The open plan living room occupies a centerpiece position in the building and it is tastefully furnished with lovely wooden furniture and intricate Balinese works of art. 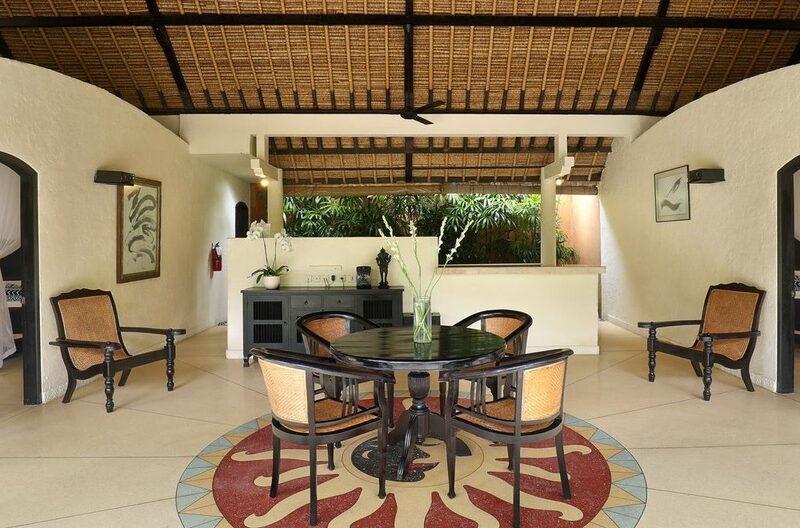 There is a small seating area that doubles as a dining and right behind this is the modern kitchen area of the villa. Seated in the living room, guests have an unobstructed view of the garden and the pool area, making an indoor relaxation just as exciting as an outdoor one. The bedrooms of Villa Impiana 2 are located separately on both ends of the building in the compound. 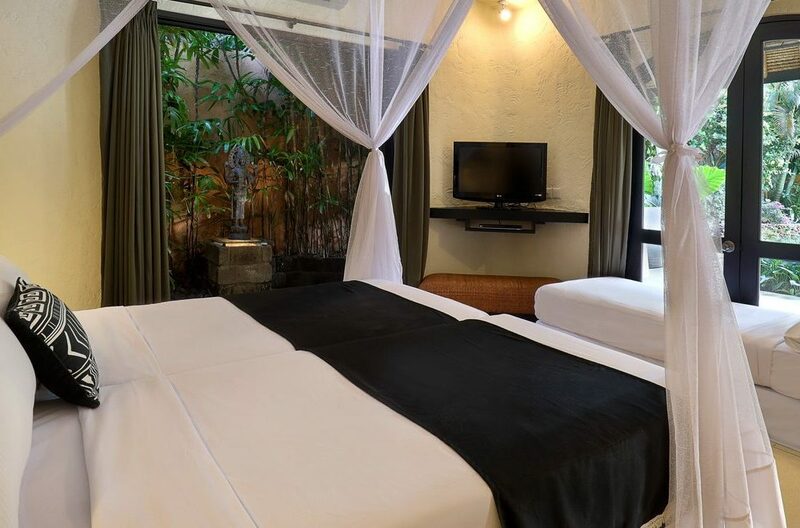 In each bedroom is a king bed, flat screen TV, comfortable chair and air conditioning. The bedrooms also have ensuite bathrooms and side doors leading out to the gardens. So guests can live together but still enjoy some privacy. Sliding glass doors lead out from the bedrooms to a balcony where there is a comfortable sofa which is ideal for evening drinks or reading. 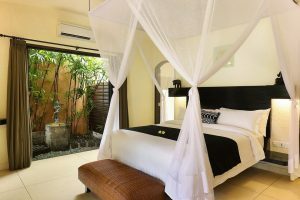 After an exciting day on the island, guests of Villa Impiana 2 are sure to get their well-deserved rest in the luxurious bedrooms of the villa. At Villa Impiana 2, the dedicated staff are on hand to ensure that guests have a fantastic stay at the villa. 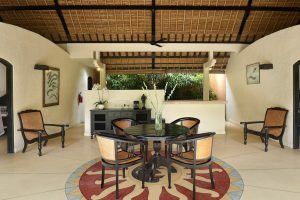 The staff include daily housekeeping, pool and garden attendants, and additional services are complimentary tea and coffee. The staff is courteous, unobtrusive and on hand to help ensure that guests have a lovely stay at the villa. Villa Impiana 2 enjoys a prime location that ensures that guests are within proximity of all the great spots on the island and it is located just off Sunset Road. 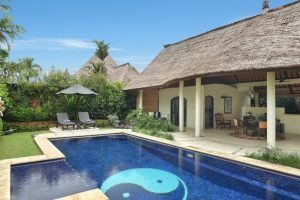 There is a supermarket just minutes from the villa where guests can buy grocery, a spa which is perfect for getting relaxing massages, countless restaurants such as Warung Jerami, Mexican Restaurant Taco Grill, etc. The beach is also close to the villa and there are several beach clubs and restaurants where guests can relax. 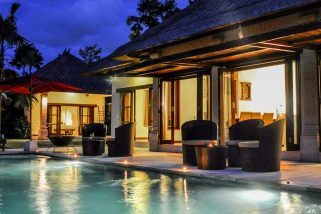 Staying at Villa Impiana 2, guests are never at a loss of things to do, ensuring that their holiday is one to remember. Villa An Tan is conveniently located just off Jalan Drupadi and a short stroll away from Seminyak’s famous ‘Eat Street’ offering a wide selection of restaurants, shopping, cafes and spas to choose from. 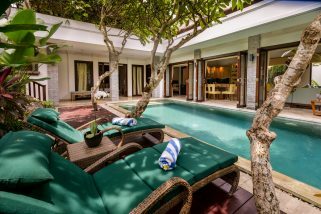 Gang Keraton, a quiet lane off Jalan Raya Seminyak provides the sanctuary that is Villa Gembira.